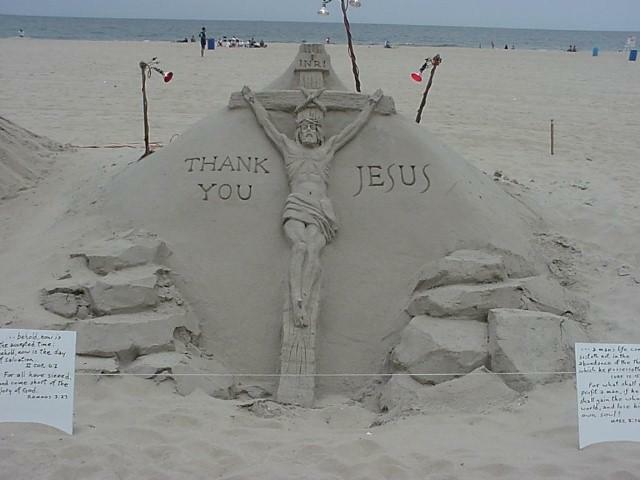 Jesus on the Beach � These Pictures are Beautiful! The pictures below are from a beach in Maryland. 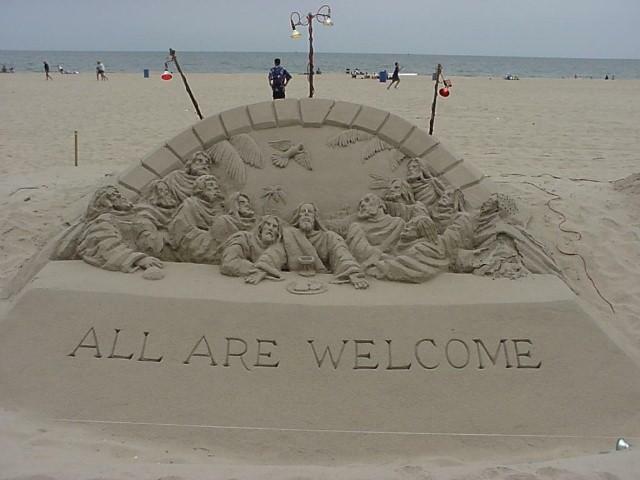 We think the sand sculpture and art work are superb. The man who creates this art work does one of these sculptures everyday, even though the ocean tide washes away his beautiful work. The man�s name is Chuck Ritchey, Sr. Jacob�s House has learned that Mr. Ritchey, Sr. does this art work at a beach in Ocean City, MD. 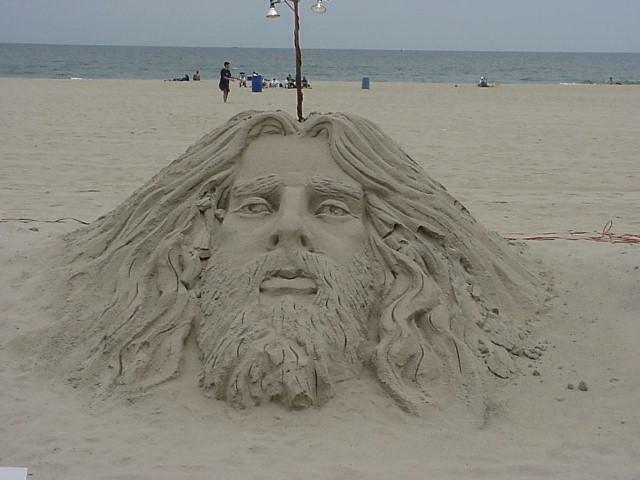 He is very talented even though his art work is washed away by the tide everyday. He certainly testifies of our Lord Jesus Christ to thousands of people along the beach. They see his daily art work and view him as he is creating his wonderful vision of Jesus. Therefore, may these pictures today be viewed by many thousands of people, all around this world.